I am a currently a professor and teach at several universities in Maryland. I obtained my B.S. in Chemistry and Villa Julie (now known as Stevenson University) and I obtained my M.S. in organic chemistry at UMBC. I have been teaching and tutoring for nearly 10 years now. I have extensive experience ranging from large classroom teaching to individual 1 on 1 tutoring. I have a long history of private tutoring and have helped dozens of students in both General and Organic chemistry. I have experience teaching both general chemistry and organic chemistry and the college level. My current rate for tutoring help is $40.00 an hour. I prefer to tutor online, or in a public place (libraries and book stores). I am currently offering tutoring in high school, general college, and organic chemistry. I also use statistics constantly in my current research and offer tutoring in statistics. I am located in Catonsville, Maryland. Please feel free to contact me and I look forward to helping you! His hands on approach and unending knowledge of Chemistry really helped me grasp a class that I wanted to quit. He not only helped me understand Chemistry, but for the first time enjoy it!! I would recommend him to anyone needing assistance. As a parent, I was grateful that Matt agreed to design a course tailored to the specific needs of my daughter. This included directed reading assignments, written quizzes, and in session verbal question/response. Matt is highly professional, flexible, and knowledgeable. I intend to use Matt throughout the summer and when my daughter re-enters school in the fall. My Daughter Wrote: "Matt is extremely patient and easy to work with because he does not talk faster than I can think. I needed instruction on both General and Organic Chemistry; he helped me with troublesome areas of each course. This improved my understanding of the material. 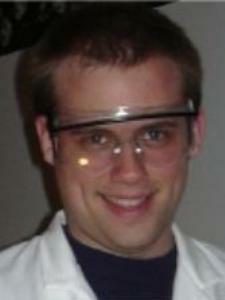 I recommend him to any student who is looking to better the understanding of Chemistry." Additional comments: Matt worked with my daughter throughout the summer in preparation for her college Organic Chemistry re-take. He has filled-in chasms of knowledge that her college professor's were either unwilling or unable to get across. I am so pleased with my daughter's newly found confidence and knowledge of this very challenging topic, I have asked Matt to continue tutoring sessions while she's away at school via video chat with white board instruction. Though she may receive the degree from the not too distant college (left un-named here), she has definitely received the knowledge and confidence from Matt. It is truly a pleasure to have Matt as my tutor! He is an absolutely wonderful person, very intelligent, and is excellent as a tutor! The academic degrees and the scientific knowledge he obtains, Matt could easily work for a top tier corporation. However due to his passion for teaching, he has chosen otherwise. He worked with me one on one and is professional, and engaging when explaining the material. He is very patient with you when explaining concepts, where if you do not understand the material he will explain it in a way that you do understand. Since he is a student himself he obviously respects and understands what we students are going through. Science courses such as Biology, Chemistry, Physics, Biochemistry, etc. can be seen as intimidating subjects to students, but Matt helps make learning interactive and practical while building confidence in the student. I would highly recommend him as a tutor for anyone who needs help in chemistry. He is reasonably priced, and his tutoring services are well worth the cost, time, and effort. You will not be disappointed!